Greater Minnesota Credit Union is a Federally Insured State Chartered Credit Union with 5 branches, assets of $148,993,204 that is headquartered in Mora, MN. 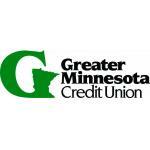 Greater Minnesota Credit Union (GMCU) is a not-for-profit, member-owned financial institution. Like other credit unions, we were created to allow members to pool their financial resources and offer loans to one another. Members share the profits from investing in other members and share the costs of operating the credit union. This idea of sharing and cooperating continues today at GMCU, over 75 years after we were first founded in 1935.